Gum disease is an infectious oral condition, which is typically caused by a sticky film of bacteria, known as plaque. As plaque starts building up on the teeth, it becomes hardened and takes the form of tartar, thereby making it more difficult to remove bacteria. According to oral health experts, the bacteria in plaque release toxins that cause gum inflammation and irritation. If bacteria aren’t removed and the inflammation persists, gum disease can become even more serious. With the progression of gum disease, tooth pockets start growing deeper, and plaque makes its way further down the root, thereby affecting the supporting bone. The affected teeth may eventually become loose and fall out. As gum disease is the major cause of tooth loss in most adults, regular dental examinations and cleanings along with brushing and flossing are important for maintaining oral health and hygiene. Many habits, including excessive intake of tobacco, coffee, tea and other beverages can result in tooth staining. Some medications or drugs can cause tooth discoloration as well. Professional dental cleaning can help in removing these external stains while promoting good oral hygiene practices. Apart from removing tartar and plaque, most dental Hygienists also polish the teeth to give them a shinier, brighter look. No doubt, a perfect smile plays a very important role in boosting self-confidence. Halitosis or persistent bad breath is more than just an embarrassing problem. In most cases, the condition results from poor oral hygiene practices, periodontal disease, throat infections or oral carcinomas. Sometimes, a coating on the tongue’s surface, food particles stuck between the teeth and unclean dentures cause halitosis. Proper oral hygiene practices are essential in preventing many oral conditions, including bad breath. 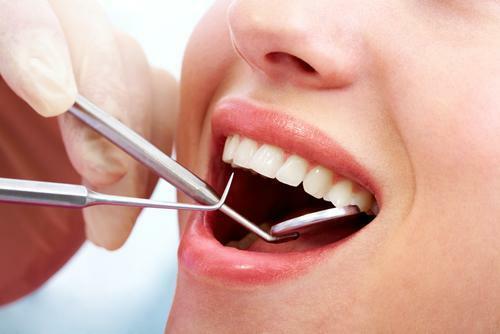 Frequent dental checkups and regular dental cleanings are essential for maintaining good oral hygiene. A number of studies and research have shown that an individual’s oral health is related to his/her overall health in many ways. In fact, several studies have associated strokes and heart disease with gum disease. While researchers haven’t discovered any causal relationship between the two, regular dental cleanings can play an important role in keeping the gums and teeth healthy while reducing the risk of heart disease and stroke. Furthermore, regular oral examinations can help diagnose major oral health problems at an earlier stage. Regular teeth cleaning and frequent dental checkups can save a great deal of money in the long run. Research has shown that preventive dental care, including regular dental checkups every six months, can help avoid the need of more expensive dental procedures that usually result from inadequate oral hygiene practices.